The following is the the text of two letters released today from Charlottetown MP Shawn Murphy calling for an 18-month moratorium of the development of Upton Farm. The first is a general press release; the second is a letter to the Hon. Peter MacKay, Minister of Foreign Affairs and Minister responsible for Atlantic Canada Opportunities Agency (ACOA). MP Shawn Murphy today announced today that he has written the Minister of Transport, Lawrence Cannon and the Minister of Foreign Affairs, Peter MacKay concerning the future of the Upton Farm property. “During the past six months, I have been contacted by many residents of Charlottetown urging me to do whatever I can to keep the area “green” to be used and enjoyed by future generations”, said Murphy. The Canada Lands Company has held these lands for approximately six years, and are now in the process of developing the property for mixed residential use. “The general sentiment is that insufficient citizen consultations have taken place, and the wishes of the community are not being taken into consideration in the development of the property,” concluded Murphy. MP Murphy is calling for a moratorium on the development of Upton Farm for a period of 18 months. 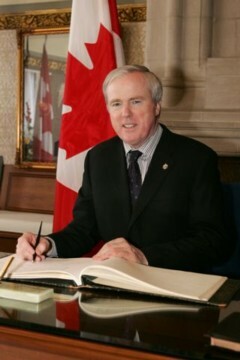 “I am suggesting to the Ministers that a task force be struck immediately involving the Federal Government, the Government of Prince Edward Island and the City of Charlottetown together with representatives of the community to develop a strategy for the development and future use of the property”, said Murphy. Upton Farm property is a 248-acre parcel of vacant land in the City of Charlottetown formerly owned by the Department of Agriculture and Agri-Food Canada and now owned by the Canada Lands Company. The Hon. Peter Gordon MacKay, P.C., M.P. I am writing today concerning the Upon Farm property, being a 248-acre parcel of vacant land in the City of Charlottetown now owned by Canada Lands Company (CLC), and previously owned by the Government of Canada in right of the Department of Agriculture and Agri-Food. CLC has held these lands for approximately six years, and are now in the process of developing the property for mixed residential uses. During the past six months, I have been contacted by many residents of Charlottetown urging me to do whatever I can to keep the area “green” to be used and enjoyed by future generations. The general sentiment is that insufficient citizen consultations have taken place, and the wishes of the community are not being taken into consideration in the development of this particular project. Given the size and significance of this project, I am urging that you place a moratorium on this project for a period of 18 months. I am suggesting that a task force be struck immediately involving the Federal Government, the Government of Prince Edward Island, and the City of Charlottetown and representatives from the community to come forward with a strategy for the future development and use of the property. I am confident that you will agree with me on the importance of this issue, and invoke this 18-month moratorium. This entry was posted on April 12, 2007 at 6:39 pm and is filed under Support from Local Politicians. You can follow any responses to this entry through the RSS 2.0 feed. You can leave a response, or trackback from your own site.